The Indian Space Research Organisation (Isro) has turned its attention to the coastal area of Krishna district as part of its search for a suitable location where it can set up a rocket-launch pad. Isro scientists have conducted feasibility studies for the site near Nagayalanka mandal in the coast. Indications are that the state government is keen to get the facility established in the hinterland of Krishna and Guntur districts. The Isro wants to have more launch pads to increase frequency of the satellites in future. At present, Isro has a capacity to launch a satellite once in two months, which becomes once in a month after additional launch pads are set up. It is also planning to send satellites which can carry more weight in future. 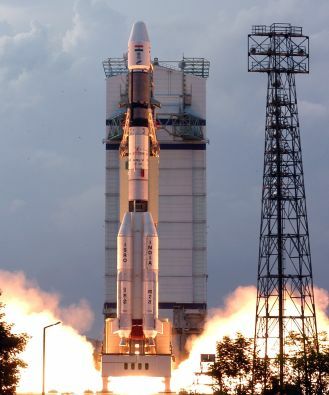 The Isro has proposed to set up a third launch pad at Satish Dhawan Space Centre (Shar) at Sriharikota. The officials prepared a project report and sent it to the government for approval. Isro director (projects & public relations), Mr S. Satish (Bangalore) said, “We have conducted a feasibility study at Nagaya-lanka in Krishna district for an alternative space pad.” He also said that the government has to give permission for setting up a third launch pad in Shar.